Versions: Recorded with Access 2013. Also use with 2007 and 2010. The lessons on embedded macros are valid for Access 2007 and later only. 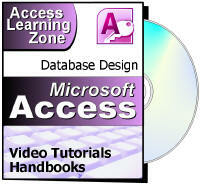 Access 2003 users should get Access 223. This class picks up where Expert Level 15 left off. We are continuing our work with Action Queries. Today we will begin by creating a macro that will run multiple queries at one time, so we can automate the process of archiving our contacts. With one click we can turn warnings off, run the append query, run the delete query, turn warnings back on, and use the MessageBox command to display a "finished" message. Next we'll learn about running delete queries based on multiple tables. For example, you want to delete all of the contacts for customers in a specific state. The records you're deleting are in the contacts table, but the criteria is based on the customer table. How do you handle this? 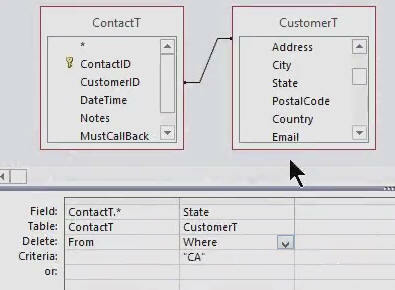 In Lesson 3 we will begin learning about Make Table Queries. These can be used to actually create a new table based on data from another table or query. We will create a customer mailing list table that has only specific customers in it based on specific criteria. 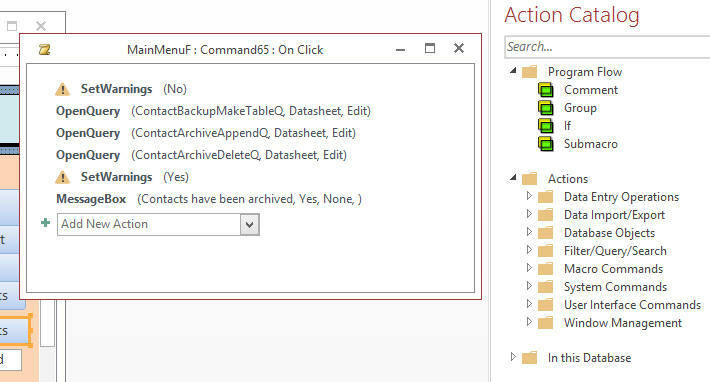 Then we will learn how to create a backup of our customer table in a separate database file (real handy for quick backups). Next, we'll deal with a very common problem that I get asked about all the time. You have a table with a child (let's say a school student) with multiple parents who may or may not live together. You need to be able to send separate mailings home to each parent. How do you handle this? 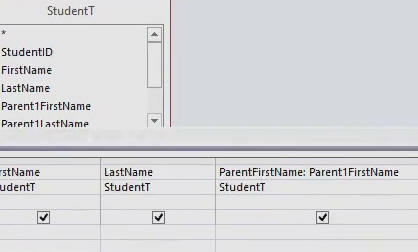 I'll show you one technique using a make table query and an append query with two parents, then I'll show you another multi-table solution allowing for unlimited parents. Finally, we'll learn about UNION queries, which allow us to take multiple tables (or other queries) and combine them into a single dataset to look like one query. So far we've split the contacts up so that old contacts get archived in a separate table. What if you want to temporarily put them back together so you can search on the whole set of contacts? That's a good job for a UNION query, a special type of query that can only be created in SQL view. This is the 16th class in the Access Expert series. There's a lot of great material in this class. Learning Action Queries will add tremendous power to your databases. Of course, if you have any questions about whether or not this class is for you, please contact me.